December | 2014 | What is ML Reading? 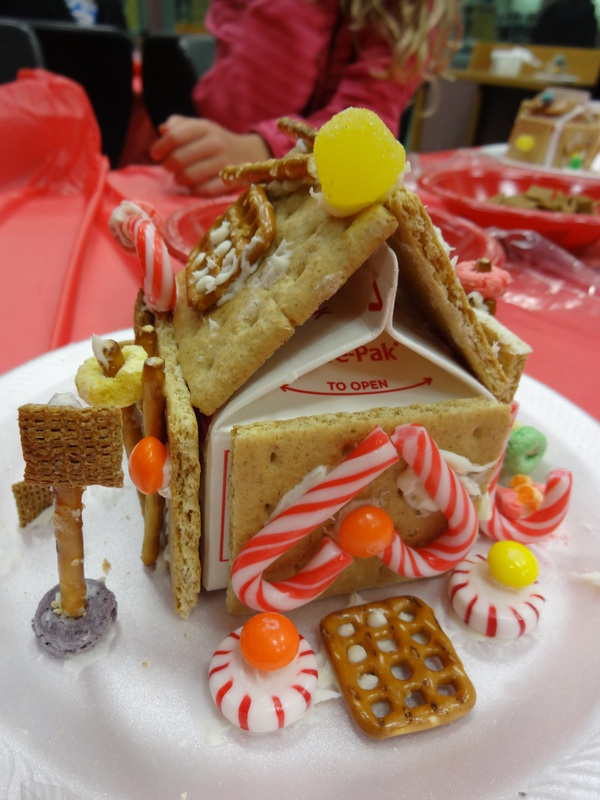 I wanted to publish this 200th blog post of 2014 at 11:59 tonight. However, there’s no guarantee I’ll still be a awake. And I’ve worked so hard to publish two hundred posts in one year. 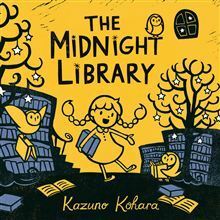 It’s appropriate I end the year with a book about midnight and a library. It’s about a library with all it’s fun and drama. Music playing squirrels, crying wolves, slow moving tortoises. In my library world, the musicians are not squirrels. They are invited to perform. The crying wolves are toddlers. The slow moving tortoises are the people who insist the library is open until 9 p.m. on Fridays. I adore Kazuno Kohara’s illustrations. This time she uses a trichromatic color scheme. (Yes, I made up the word.) Most of the illustrations are black and gold. However, the books and a few other objects are a lovely blue. The blue I wanted to paint my old house. It made me smile when I saw the new owner painted it exactly how I wanted. 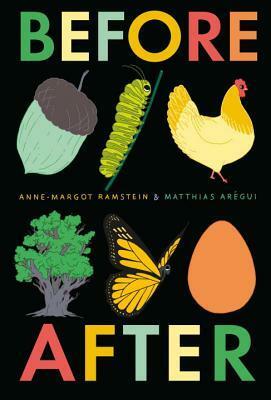 Before After by Anne-Margot Ramstein & Matthias Aregui is a distinctive picture book. Most picture books are 32 pages and include text. This book is 176 pages of illustrations featuring no text. It’s a springboard for conversations. Cautionary – the slingshot illustration followed by a broken window. Historical – the candle, followed by the gas lamp, followed by the electric lamp. Environmental – Instead of always having pristine art materials… opening a fresh box of colored pencils and using them until they are nubs. WordPress sent me an “Annual Report” about my blogging in 2014. I’m amazed. Barring technical difficulties, my goal of 200 posts will be reached tomorrow before midnight. So far there have been 11,414 page views from readers in 97 different countries. How does this compare to 2013? Last year I was humbled by 7977 views in 42 different countries. The most popular post this year was In Memory of a Courageous Athlete. I’ve copied the text below. On New Year’s Eve, remember all those who have lost someone this year. I think of Keaton’s family everyday. My favorite day of 2014? ML and I meeting up with Keaton’s entire family… parents, grandparents, brothers, sister-in-law, aunts, uncles and cousins for lunch. They were visiting Keaton’s brother who plays football for UNC and wasn’t able to visit his family in Georgia for the holidays. I didn’t know Keaton; but I felt the spirit of he and my mother looking down on our visit with smiles. My heart is breaking at the death of a young man I never met. Over forty-five years ago, my parents were newlyweds living in a small town in south Georgia. They met lifelong friends who had two small children. When my parents moved three hours away, the friendship continued. Doris and my mom wrote letters to each other back when that still happened. Their family visited our family. We visited them. Braves games and Six Flags and just hanging out are some of the memories I have. Since my mother passed away, Doris has continued this lifelong friendship. Reaching out and supporting me through both happy and difficult times. The grandson of this wonderful family passed away yesterday. When he was a junior in high school, Keaton was diagnosed with brain cancer. 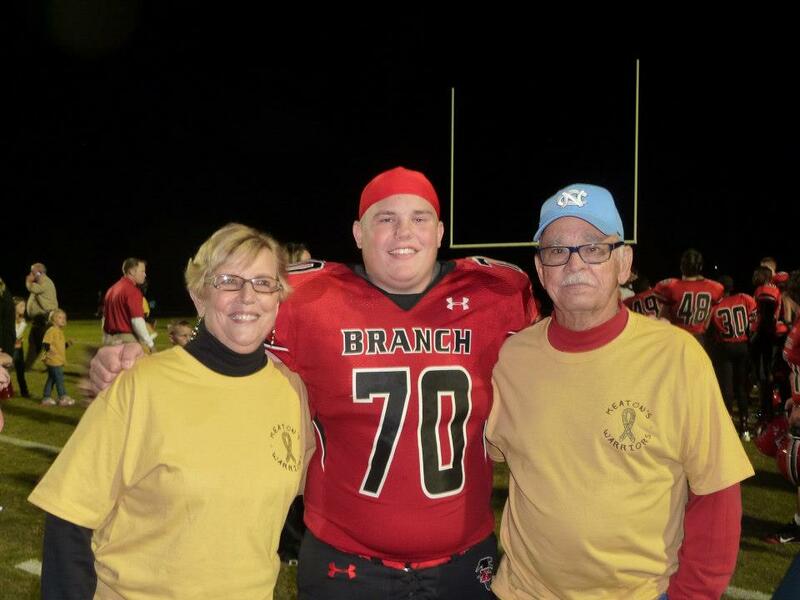 Even through his treatment, which included surgeries and chemotherapy, he played football. For the past two years, I’ve been following his story on Facebook via his mom and grandmother. Watching with amazement at this courageous young man who didn’t let brain cancer keep him from enjoying high school to the fullest. Football games, homework, high school dances. He did it all. 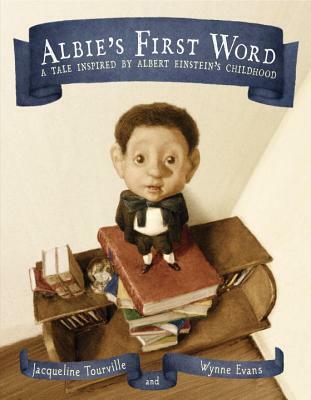 Since learning of his death, I’ve been searching for the perfect picture book to honor him. I thought maybe a story about football. But I couldn’t find one I liked. 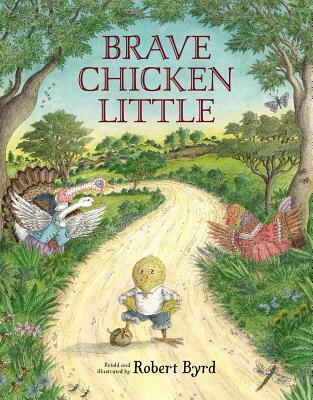 Through a web search using the words picture books and courage, I found one. 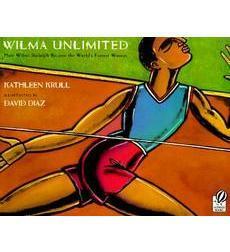 Wilma, Unlimited: How Wilma Rudolph Became The World’s Fastest Woman by Kathleen Krull and illustrated by David Diaz – A biography of the African-American woman who overcame crippling polio to become the first woman to win three gold medals in track in a single Olympics. Just like Wilma Rudolph, Keaton plowed through showing others what one can do with determination and pure grit. A few weeks ago he was chosen as Georgia’s Male Positive Athlete of The Year. No one deserves this honor more. ML wanted to read it two nights in a row. This detail should be enough to convince you to read the book. It’s a great read-aloud with characters I’m not familiar with from other editions… Piggy Wiggy, Rabbit Babbit, Natty Ratty, Froggy Woggy and Roly and Poly Moley. Then, there’s Foxy Loxy’s children… Foxy Boxy, Foxy Doxy, Foxy Hoxy, Foxy Moxy, Foxy Noxy, Foxy Poxy, and Foxy Soxy. The opportunity to read those names is in itself a reason to check out this book. Everyone I’ve shared it with starts out grinning. Then, chuckles. Then, snickers. Then, giggles. Then, cracks up. At the end, they roar with laughter. Yesterday, I texted my brother, “Happy Birthday!” He responded “thank you;” and didn’t correct my mistake. Today, is his real birthday. I cannot let the day go by without a post to celebrate him. 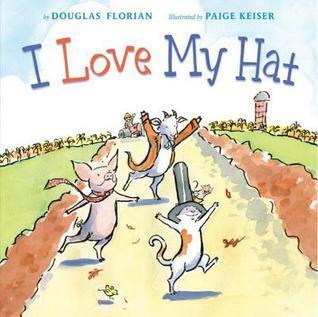 According to family lore, during preschool my brother insisted on being called “Farmer Brown.” When I Love My Hat by Douglas Florian and illustrated by Paige Keiser arrived, I loved it. However, I decided to wait to share this book. In honor of the boy who irritated me as a child; and I wish I saw more than twice a year as an adult… a book with a character named Farmer Brown. We’re seeing my brother and his family in a couple of weeks. This book is making the trip. I’m eager to tell my niece and nephew about their dad, Farmer Brown. I should probably hold off sharing about the time we were fighting and my bedroom door fell of the hinges as a result. ML oohed and aahhed over it, especially on the page showing the Eiffel Tower. The exquisite pastel illustrations provide a luminous depth rarely seen in picture books. This story about a cat regaining it’s spirit is the perfect book to read when a child is anxious. ML rarely asks me to read a nonfiction book again; and never repeatedly for several nights in a row. 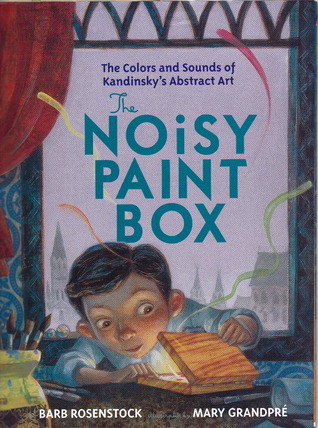 Then, I brought home The Noisy Paint Box: The Colors and Sounds of Kandinsky’s Abstract Art by Barb Rosentock and illustrated by Mary Grandpre. Mary Louise couldn’t get enough of this book. “Vasya Kandinsky was a proper little boy: he studied math and history, he practiced the piano, he sat up straight and was perfectly polite. And when his family sent him to art classes, they expected him to paint pretty houses and flowers—like a proper artist. I’m buying ML the book for Christmas. I know it’s a book she’ll treasure for years. Colorful language surges throughout the book. The opening illustrations depict the life of “a proper Russian boy” during the mid 1800’s. As Kandinksy follows his dream, the book’s illustrations transform from realistic to abstract. You’ll learn something. At least, I did. If I knew about Vasya Kandinsky before, it’s buried somewhere deep inside my brain where I can no longer retrieve it. It is know thought Kandinsky had a genetic condition called synethesia. “In people with synesthesia, one sense triggers a different sense, allowing them, for example to hear colors, see music, taste words, or small numbers.” Kandinsky began hearing colors after his Auntie gave him a wooden paint box. 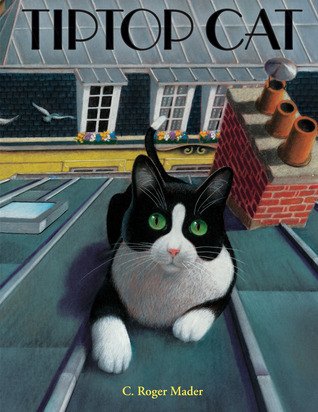 Naughty Kitty by Adam Stower – Lily’s mom said, “Dogs were too messy, too smelly and far to much trouble.” So Lily received a kitty. He was cute and sweet until Lily left him alone. Then, he wreaked all sorts of havoc. The cute little kitty turned into a beast or so it seemed. 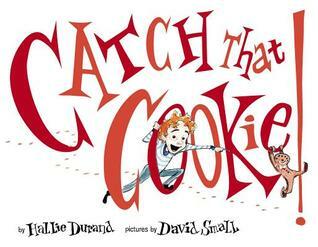 It’s a perfect story for both preschoolers and elementary aged children. ML loved the discretely placed newspaper and a television report in the illustrations giving a clue to what was happening. It’s hard being a penguin. You’re a bird; but you can’t fly. Luckily the penguins in the following books meet some amazing friends who help them realize their dreams. These books are similar in concept. Both penguins want to fly. However, the story line and illustrations are unique. Read both as a segue into conversations about problem-solving and helping friends. 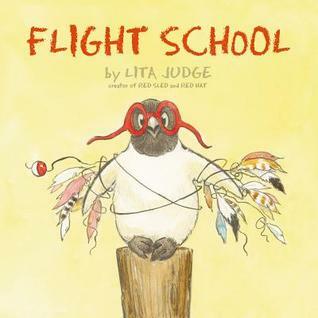 In Flight School the penguin is bold and seeks out the challenge. 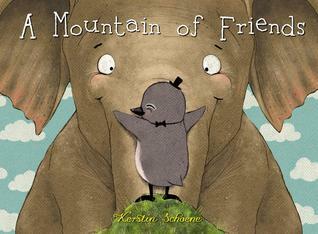 In A Mountain of Friends, the penguin needs more of a boost from his friends. The combination of these two stories mimic life. Sometimes, we’re bold. Other times, we’re timid. In each case, it’s the encouragement and help of friends that help us soar. Just like in the books. 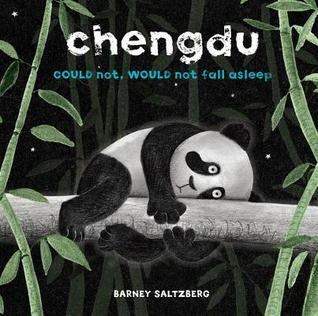 Chengdu is adorable, the story is funny and the ending is cuddly. A perfect bedtime story. Because ML found it hilarious. Louie is almost as dramatic as ML and friends. Firstly, it was a hit at preschool story time. 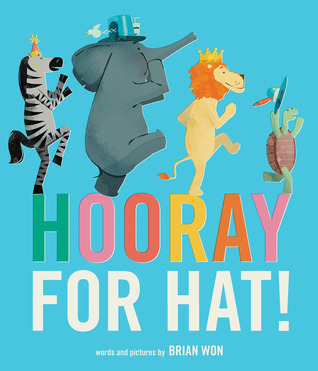 Secondly, the publishers description says it best “an irresistible celebration of friendship, sharing and fabulous hats.” Thirdly, because I said so. Oops my mommy brain started took over the keyboard. 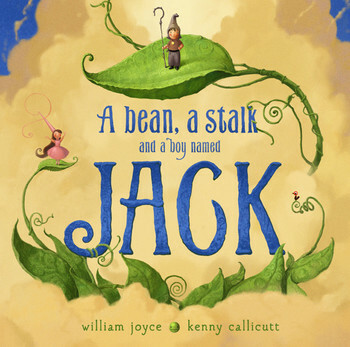 It’s a boisterous yarn including puns, stinky pinkies, Princes Blah Blah Blah, a bean, a stalk and a boy named Jack created at Moonbot Studios. 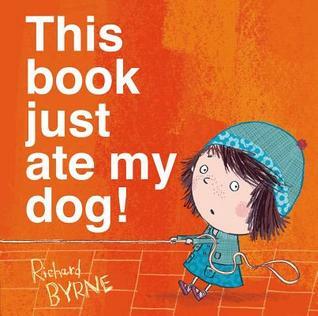 You must read this funny book. Preschoolers will enjoy the story. 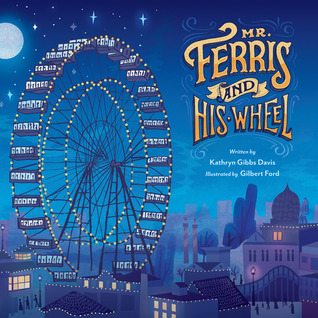 Early elementary school students will love the merging of a few well known classics from fairy tales and Mother Goose. Plus the illustrations are a lively delight. 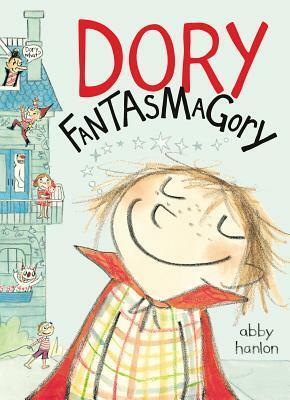 Dory Fantasmagory by Abby Hanlon is the first book in a new illustrated beginning chapter book series. It’s perfect for fans of Ivy + Bean. Here’s ML’s book review for school on “Dory Fantesmgory.” Word for word, spelling for spelling, punctuation for punctuation. This story is about a girl who a 2 older siblings and has a monster vision. Her pet Mary an her try to get away from Gobble Gracker. 3 smiley faces followed by thumbs up!!! We are eagerly anticipating book two Dory and the Real True Friend. Frann Preston-Gannon was a recipient of the Sendak Fellowship allowing her the opportunity to spend a month in the fall of 2011 living with and learning from Maurice Sendak. Yes, that Maurice Sendak! The one who wrote and illustrated Where the Wild Things Are and many other perfect children’s books. I understand why she was chosen. 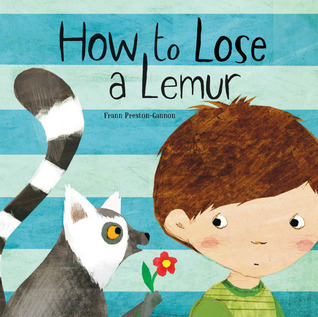 Just like Sendak’s books, How to Lose a Lemur has a quirky story line and magnificent illustrations. 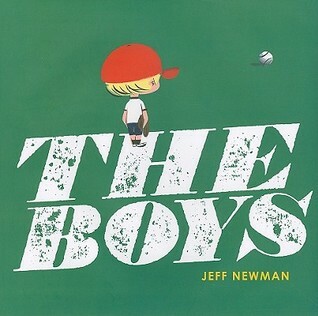 The Boys by Jeff Newman – “A shy boy, seeking the courage to play baseball with the other children in the park, is coaxed out of his shell by some “old timers” sitting nearby who, in turn discover they are still in the game. First off the illustrations are hilarious. It’s fun to watch how the shy boy and old timers choice of clothing evolves. 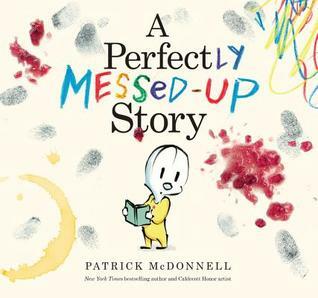 This mostly wordless picture book is a prime example of something missing in many kids lives. Interaction with older adults who are not grandparents. I was fortunate to live in a neighborhood where there were older adults. They nurtured me. My worldview is broader because of them. This year, I plan to provide ML more opportunities to interact with senior citizens. ML immediately picked it from the stack of books we always have around our house. A book read on the first day it enters our house rarely happens. 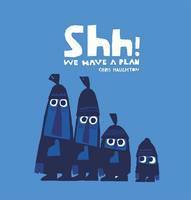 Read Shh! 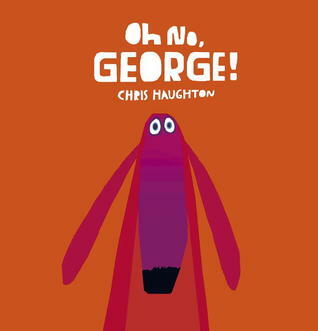 Then continue to his other book Oh No George!.